We at Bevan Douglas Funerals offer the opportunity for clients or their families to preplan, prearrange and/or prepay their funerals. This gives clients the availability to take the worry away from loved ones by making their own wishes come true at the time of their demise. Often this family discussion is very hard to make, so making it with your funeral director is the logical choice. Making these arrangement not only gives you the client peace of mind it makes things easier for the family. 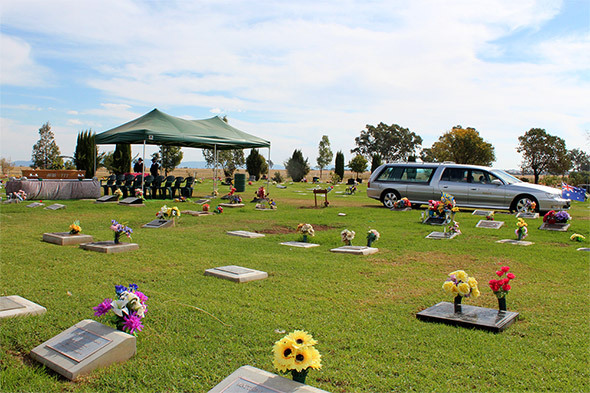 The Australian Government has seen fit to authorize a number of Pre Paid Funeral companies. You can further relieve the burden on your loved ones by taking away the financial burden of a funeral. The Australian Government has licensed a number of companies to offer Funeral Bonds and Prepaid Funeral Plans. We at Bevan Douglas Funerals can give you an option on a number of these companies to invest in for your funeral, and offer advice as to which company has the best returns at the time. Payment plans can be arranged for those wishing to use this service. The following as a link to Forresters, the funeral company we use to invest funds. Please take the time to have a look.